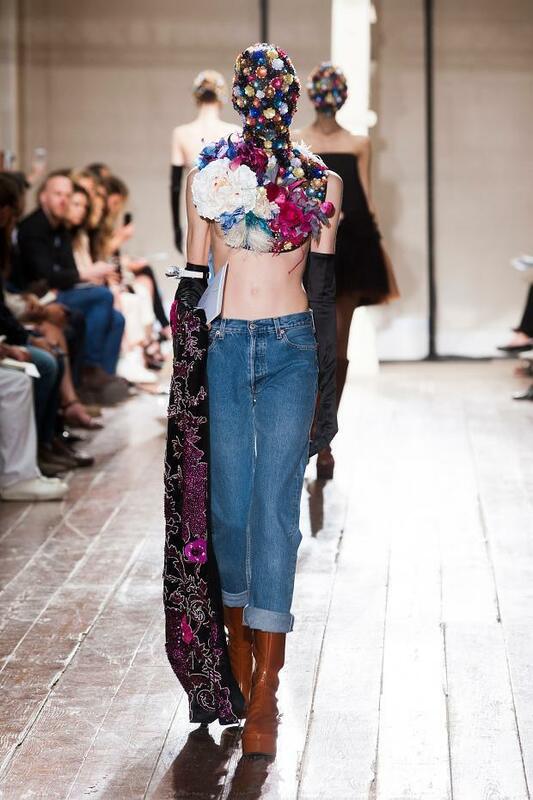 Blue jeans part of the Paris Fashion Week Haute-Couture show? 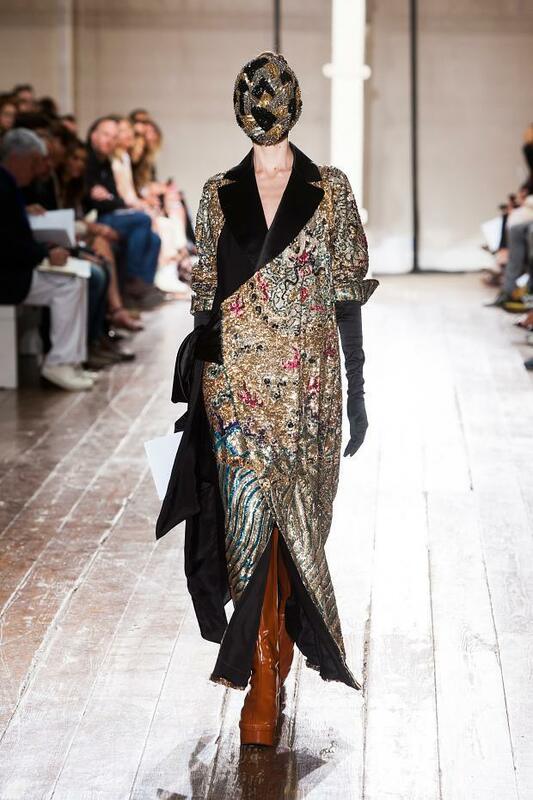 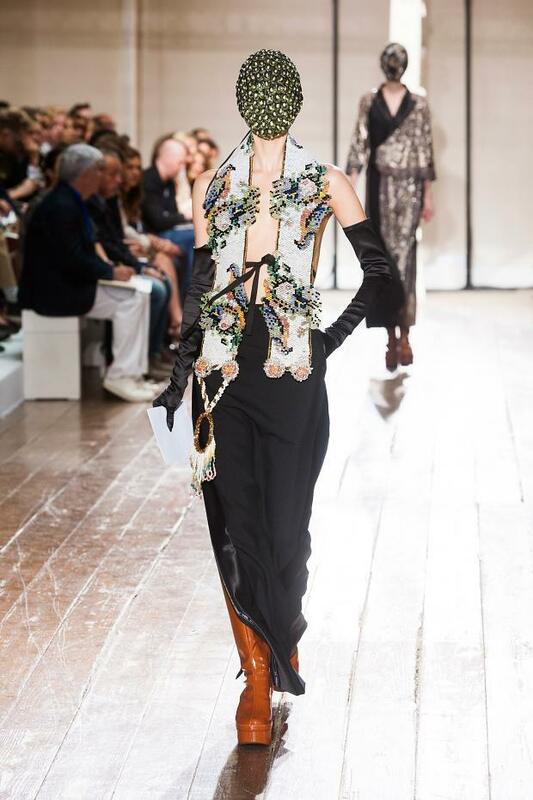 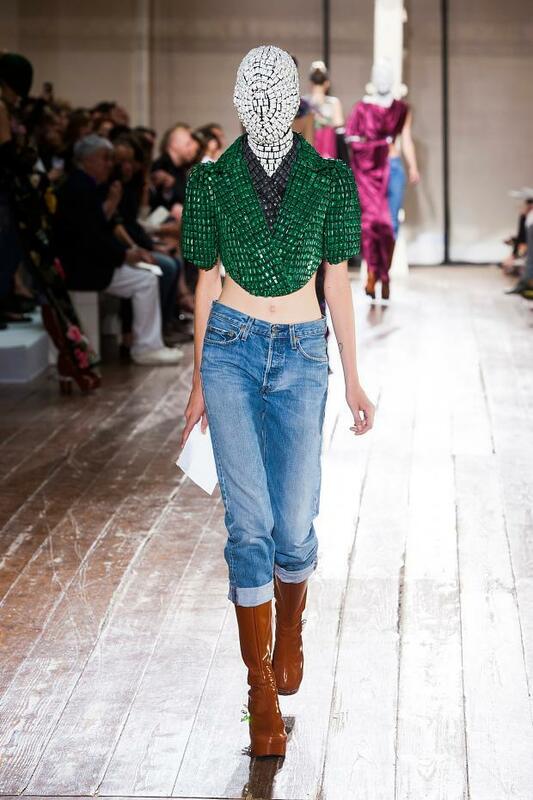 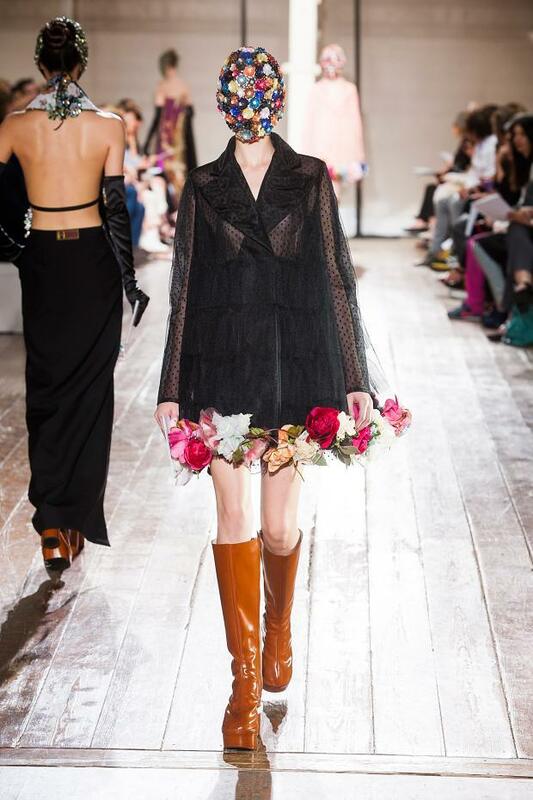 Yip, Maison Martin Margiela models strutted down the runway in outfits that were restored, reworked or remade. 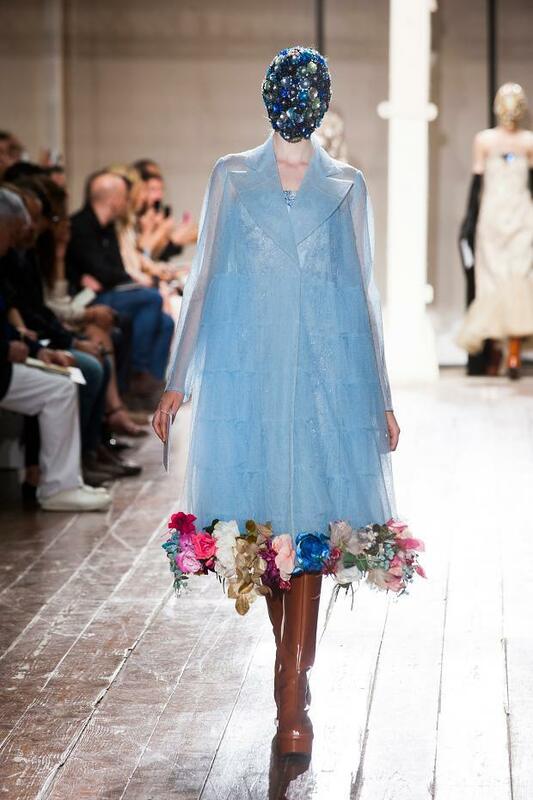 Their heads encased in embellished masks paired with vintage jeans rolled up over platform boots.